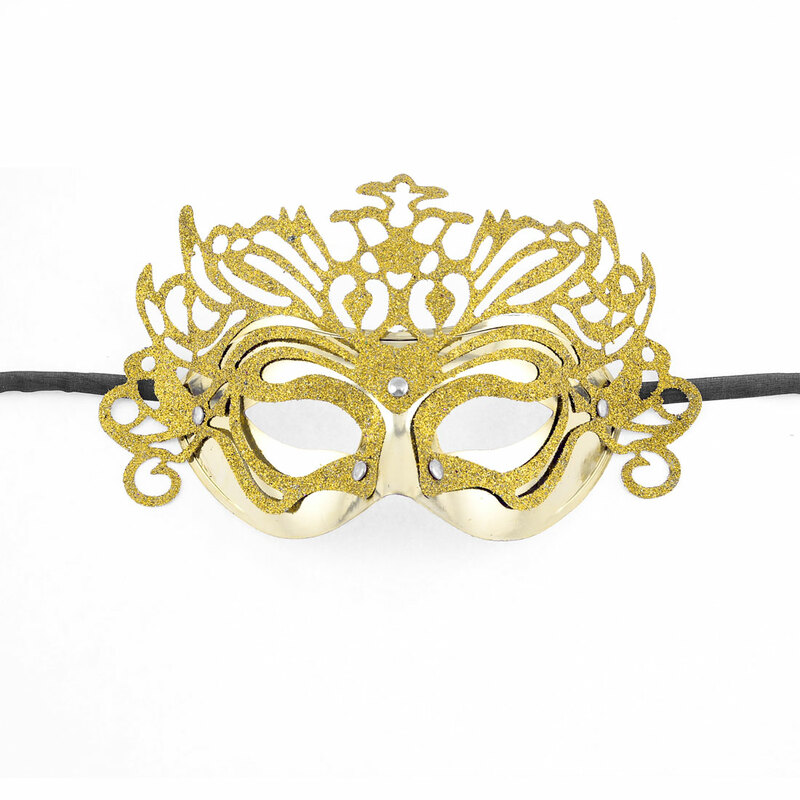 Fashion and beautiful design with the glittery powder covered on the mask. Comfortable and easy for wearing with the self tie ribbon bands. Gold tone plated plastic material is light weight for dressing. Paper cut style pattern make it looked so eye-catching and unique.